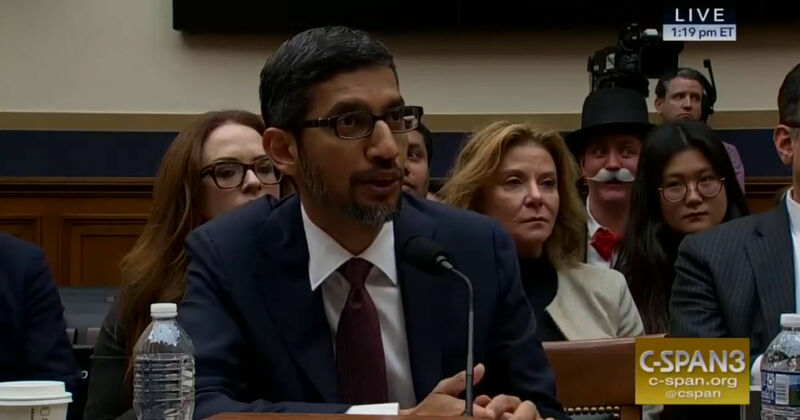 Amid some grilling questions and some pivotal concerns, Google CEO Sundar Pichai also had to go through with a few rather basic aspects of technology. Google CEO Sundar Pichai became the latest tech executive to submit to prolonged grilling at the US Capitol Hill, after Facebook’s Mark Zuckerberg and Twitter’s Jack Dorsey. The hearing saw some important questions being raised pertaining to the governance of Google’s search result ethics, discrimination laws, sweeping data gathering practices and data breaches from its multiple platforms and much-needed efforts to curb the rising amount of hate speech-inspired violence. King: I have a seven-year-old granddaughter who picked up her phone during the election, and she’s playing a little game, the kind of game a kid would play. And up on there pops a picture of her grandfather. And I’m not going to say into the record what kind of language was used around that picture of her grandfather, but I’d ask you: how does that show up on a seven-year-old’s iPhone, who’s playing a kid’s game? King: It might have been an Android, it just was a hand-me-down of some kind. The Google CEO was typically patient in his response, offering to follow up to better understand the situation. He suggested that there might have been an application that served an ad notification, which of course was recommended per device. The moment was a rather odd curveball, not touching upon the questions of search bias and efficient filtering of specifically sensitive content. It did, however, expose the lack of understanding of the Internet and the way it works on behalf of the Congressman. This has further led to many doubting the effectiveness of the committees that question the technology stalwarts. As seen previously at Mark Zuckerberg‘s hearing, too (now made infamous with the “Senator, we run ads” catch line), there was a lack of basic understanding from many, as to how the Internet, and technology in general, works. Here’s hoping Pichai manages to explain exactly what happened, and how.